1. Exhibits must be the work of the exhibitor unless otherwise stated. 2. 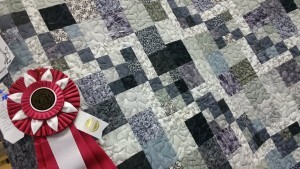 Articles may be shown one year only, except for quilt tops, which may be shown as a completed quilt the second year. Judges have been authorized to disqualify all soiled or old work. 4. Hand/Machine Quilted Quilts must be at least 823 cm (324”) perimeter to go to the O.A.A.S quilt competition. 6. Each quilt entry (class 1-11) must show, on back of entry tag, the name of the person (s) making quilt top and the name of the person(s) doing the quilting. Failure to do so will disqualify entry. Please note quilt size in rules. Quilt tops in classes 16-19 Perimeter: minimum 823 cm (324″). 68. In memory of Maxine Heise, Mitts, scarves or hats for Christmas hampers. We will provide you with a swatch of fabric. Make 2 co-ordinated placemats (same or different pattern) using as much or as little of the provided fabric as you like. Enter your placemats in the 2019 Anniversary Fair with no entry fee. Contact Betty Tarr 519-338-2043 as soon as possible to register & receive your fabric. Limited supplies available, register soon. ← Amateur Photography Advanced List for 2019 – Check it out!